Lightweight version of the body parts set for the T3-01 Dancing Rider. The lightweight variants are made of polycarbonate with a material thickness of 0.8mm (instead of 1.0mm). This saves weight, which benefits in improved handling of the model. 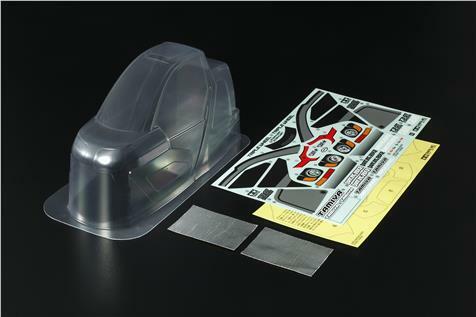 Includes decal sheet and marking stickers to cover the window areas. Only compatible with T3-01 chassis.